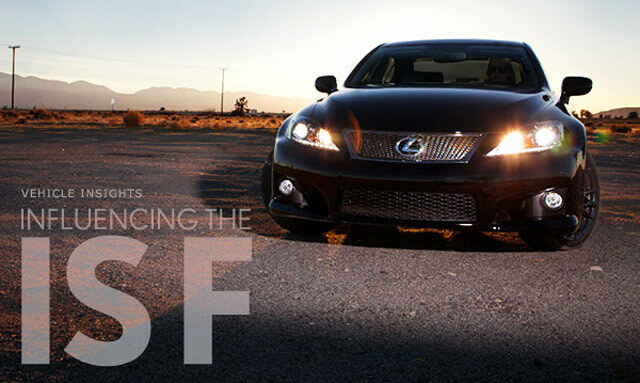 The [Lexus IS-F] is a masterpiece, the result of several years of thought about what a Lexus can be. It’s also a car that, even through high-speed turns or blistering straights, reveals core values shared by every Lexus. In short: it’s fluid and highly attuned to the driver. And I’m honored to say I have had a small part to play in helping to develop it, along with many other Lexus vehicles. Several times each year, Hirokazu Koga, the former longtime Project General Manager of the Lexus Development Center, requests my opinion on Lexus cars in development, or in the final phases of adjustment, because he insists on getting an independent, outside opinion. Bringing in a journalist to evaluate your pre-production vehicle must be a stressful event, as it opens the door for feedback that might not be necessarily positive — good on Lexus to welcome such insight. Highly recommend heading over to Lexus Magazine and reading the article. Jason St. Petersburg Photographer: @krew: Thanks Krew....it's always easier when working with a nice car.